Mobile application development is getting more advanced and important day by day. Whether you need to develop and smartphone application for Android or IOS operating system. You need to have the strong skillset and define your approach in according to steps of IOS App development. None of the developers directly start working on their applications without having a defined procedure. Whether you’re new or some old experienced of your industry. The procedure should be defied for affective results. Here we have outlined the important steps for development to expand your understanding and provide a complete roadmap. Whether you’re planning to develop some smartphone or web application. 1st step should be the clarification of an idea. Let’s have an example if you have an idea to develop the game application. You should be clear regarding its specifications and requirements. Elaborate the complete idea on some paper that could be present for better understanding. If you’re clear in your concept, it will be easier to define it to others. 2nd step of development is starting planning or create a complete roadmap. While planning takes initiative form designing and defines steps toward development. Designing is always considered as the first stage of development. Design application screen with the creative and innovative approach. If project planner has missed design planning by considering it an unnecessary thing. It may create a problem in understanding your application flow. You may hire a professional and creative designer or may use your own creativity in screen designing. On successfully completed designing process, this is a right time develop flow according to screen relevancy. Content finalization is another important part of designing. Yes, you need to finalize actually what type of content you’re going to use in the application. This content will be defined according to the application them the concept. If you’re interested in the development of an application for IOS operating system. You must have Mac to start your development. An IOS developer account is as essential as having Mac for your development. You need to have an account to publish and test your application. 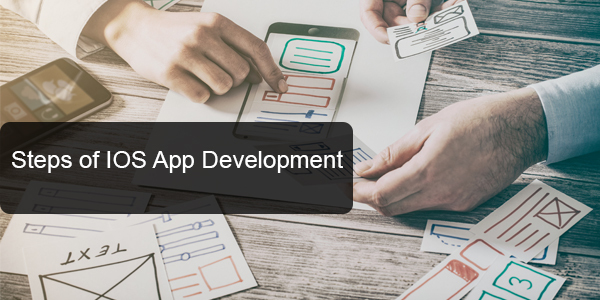 This is an essential step of IOS app development because it allows the application to your smartphone device. XCode is actually an IDE available especially for the IOS application development. Its drag and drop interface support developer in creating screens with an ease. Now you have all essentials to develop a successful application. Start your development by keeping an organized structure. It needs command on different development concepts and special understanding with frameworks. Undoubtedly your programming core concepts are important for if you don’t have framework understanding it will be difficult to proceed. Successful application development needs comprehensive testing on different stages. You need to test design and application according to IOS standards. Application testing makes it more fluent, smooth, creative and attractive. No one can directly update their IOS application to app store until they approve. You need to test and then submit your application to App store. They will check whether it meets essential IOS application standards or not. If it meets all standards, it will be published else denied for amendments. An application after successful submission on App store will be used by a variety of users. It is important to consistently update it according to Apple updates. Apple updates and maintains its operating system, therefore an application developer should also pay attention to maintenance. 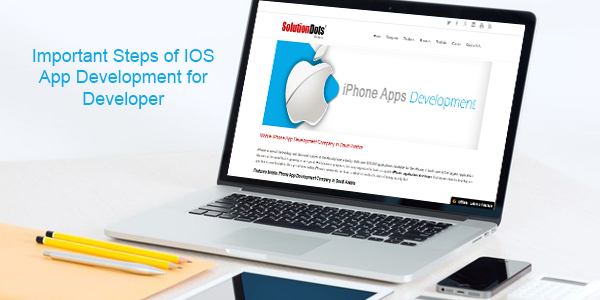 These are the essentials steps of IOS application development for developers. They will definitely enhance your understanding and organize the task accordingly.